Many of the recipes we use here at the Inn are renditions of old family favorites and Moravian Sugar Cake is no exception. I had kind of forgotten about it until my sister, having a nostalgic moment, texted me a picture of her Moravian Sugar Cake fresh out of the oven. Mom made the absolute best one starting with a slightly sweet potato dough and finishing it with dark brown sugar, melted fresh cream butter and fragrant cinnamon. 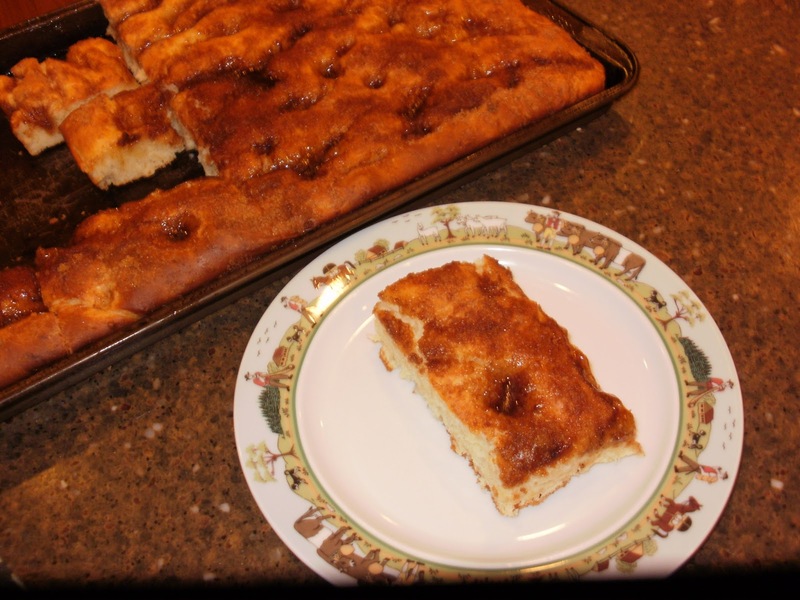 The Moravian Community brought this recipe with them when they moved here from Eastern Europe. Lititz was founded by these stalwart folks so many of the traditions still stand. Visiting the Moravian Church for their Christmas Eve Service we were served ironstone mugs filled with coffee and milk, and a wonderful home baked round of Moravian sugar cake, making for the most wonderful local tradition. I use dried potato flakes instead of the mashed potatoes the original called for but other than that, it is the old standard one that Mom made for years. It is best enjoyed warm and can be every bit as addictive as those “blue light donuts! 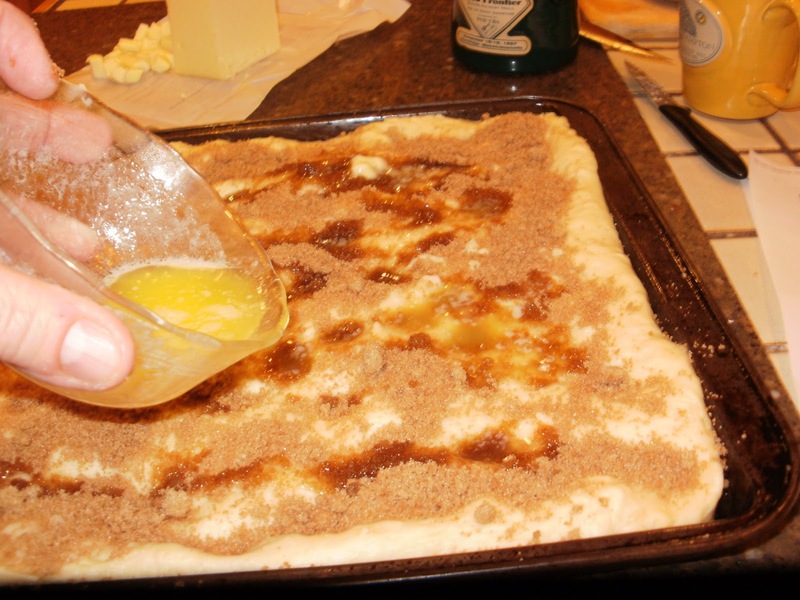 Pour the melted butter evenly over the dough. 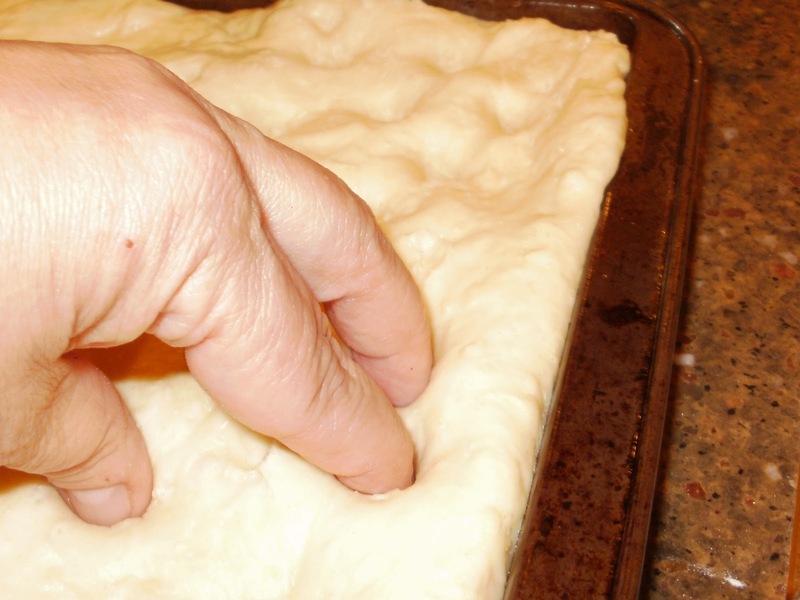 Some of it will pool in the indentations. This is a good thing! Bake at 350 for 30 min or until lightly brown and the middle springs back to touch. Do not over-bake. Serve warm with a great cup of coffee. 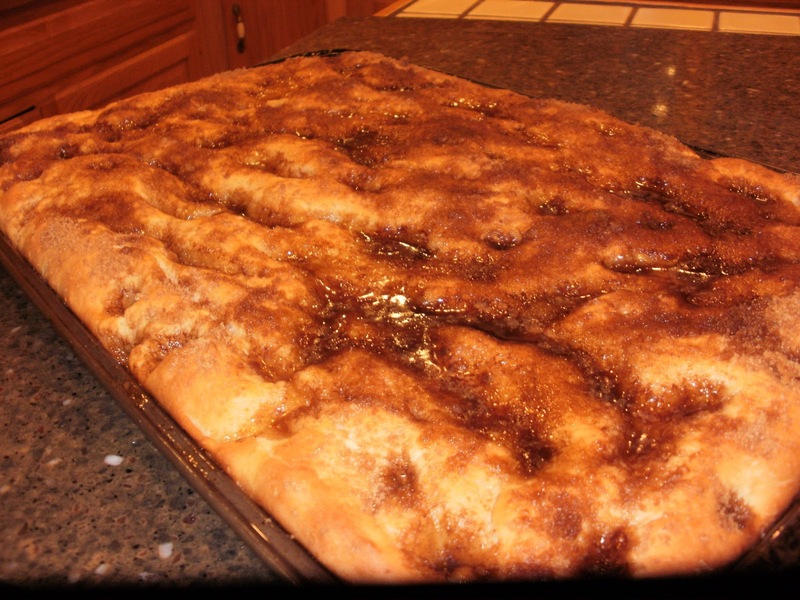 This entry was posted in Desserts, Holiday Recipes, Sweet Breads, Swiss Woods Bed and Breakfast by admin. Bookmark the permalink.